San Francisco, 1941. 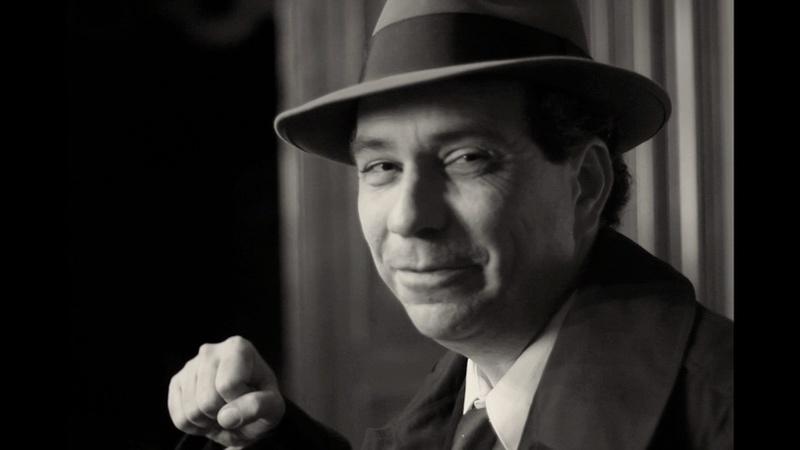 Detective Roy Murphy investigates the murder of a millionaire in this film noir, 1940s-style detective mystery. David is an inspiring artist who works as a door-to-door makeup salesman. Sarah is a photographer who supports herself as a stripper. When they fall for each other they become entangled in a web of lies, rumors, and misconceptions. A women commits a tryst on the eve of her wedding night and in desperation turns to a lesbian charlatan for hymen help in this over-the-top period musical comedy. A glimpse of a maturing relationship, the refusal to confront change, and the resulting damage. Two brothers struggling with personal failures and the legacy of their abusive father finally come to blows on a sentimental camping trip. When a girl is bitten by a strange creature and her "boyfriend" proves clueless, a mysterious Zombie-movie expert intervenes. Live-action and animated adaptation of the classic children's story by Barbara Cooney. Narrated by Claire Danes. Live-action and animated adaptation of the class children's story by Jacqueline Briggs Martin. Narrated by Sean Astin. Framed for a murder he didn't commit and on the run from the law, rocket scientist Jack Marsh can save himself only if he unravels the mystery of the secret government project code-named "Black Lotus." When ex-girlfriend and boyfriend reunite and rekindle their college love affair, everything is not as perfect as first appears. Co-workers who can never manage to be in the same place, or even on the same floor, at the same time. Struggling to meet a looming office deadline, Wickens is distracted by his obsession to discover his secret admirer. When Christina suggests they get married Ricky says the wrong thing in this outrageous romantic comedy. Chris celebrates his birthday drinking whiskey and discussing the meaning of life with his self-absorbed best friend David. When his day-to-day life becomes too difficult to navigate, Sam explores a new form of treatment and embarks on a journey to confront the darkness that haunts him. Abby steals her father's sports car and heads to Los Angeles to begin a new life, but on the way she picks up a hitchhiker who challenges everything Abby believes. A teenage drug addict compromises herself to feed her habit and her family spirals downward when they try to save her. Maya helps her father get over his grief of her mother's death. But when her father announces he's getting re-married, Maya must face her own grief. With his ex-wife dating and his daughter coming of age, a bisexual father must negotiate the new family dynamics in this comedic drama. In this dark comedy, a mirror turns against a man by using his reflection to drive him insane. When Ari comes home for Passover with Rami, his new boyfriend, Ari's parents struggle to accept that Rami isn't Jewish. H.G. Wells classic science fiction performed by the acclaimed Taproot Theater for the International Globalstage Adventure Series. A young girl comes to terms with her imaginary friend. A man, a genie, and the three wishes that come between them. A naive couple and two cold winter mornings in Maine. A bookstore owner, her best customer, and a man who sees famous dead people everywhere. Mockumentary in the spirit of Spinal Tap, a small-town heavy metal band gets a big time break.